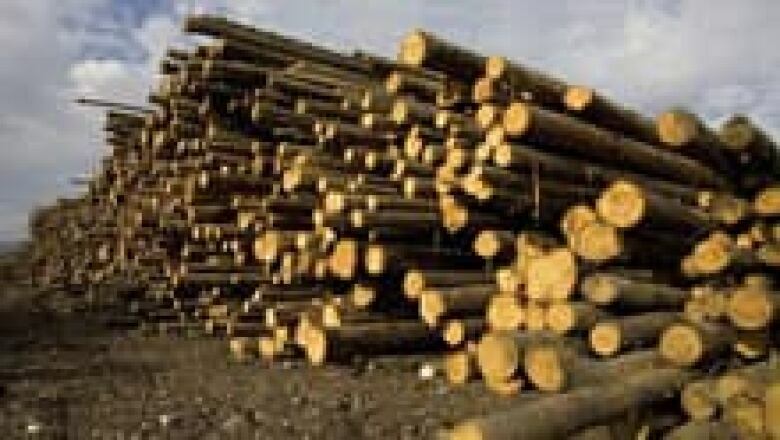 New Brunswick's First Nations chiefs have filed a leave to appeal a judge's decision to deny their request to temporarily block the provincial government's new forestry plan. The forestry plan, which gives industry access to more Crown wood, is expected to result in the harvesting of an additional 660,000 cubic metres. (Jeff Bassett/The Canadian Press)"We do not agree with [Court of Queen's Bench] Justice [Judy] Clendening’s claim that 'the Rubicon has not been crossed,'" Chief Brenda Perely, the Assembly’sMaliseet co-chair, stated in a release. "The government has clearly signalled its intention to cross that line and put the health of the forest at risk," said Chief George Ginnish, the Assembly’s Mi'kmaq co-chair. "We do not believe that the forest must be irreparably harmed before we are permitted to stop them," he said. The case will be heard by the New Brunswick Court of Appeal on Sept. 5. The forestry plan gives industry the right to cut 20 per cent more softwood on Crown land. It also reduces the amount of public forest that is off limits to industry to 23 per cent, down from the previous standard of 28 per cent. It is expected to result in the harvesting of an additional 660,000 cubic metres. Earlier this month, the native leaders had applied to the court for an injunction to temporarily block the plan. They argued the government failed to meet its obligation to consult aboriginal people, who claim title to the public land where companies will be allowed to cut more trees. They said the plan was an immediate threat to their aboriginal and treaty rights. But the judge ruled the risk of irreparable harm, "has not crystallized." Clendening did say, however, that there may be a larger constitutional issue to be tried on the government's duty to consult First Nations. The forestry strategy is central to the David Alward's Progressive Conservative Party's re-election strategy, which urges New Brunswickers to say yes to natural resource development.